Thanks for all good contributions and i will under the day contact some of you and go in on details and in i will put out a winner. Most say that many is very good. I cannot type on all but i want all to know that your do a great work.. I hope you not feel i am to hard at you. 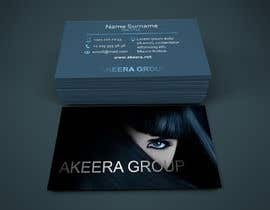 I do this for i feel its hard, and as Akeera Group have invest, management and so on..It need to be a serious touch, at the same time as design, entertainment and so on is more creative and "crazy" and find a balance there is the hard part. The idea was good, but little to simple style. Simple and easy can be good. 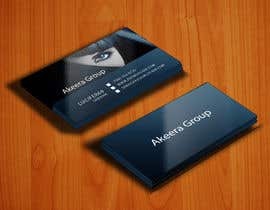 As we are much of a creative business i can be little more creative style on it. 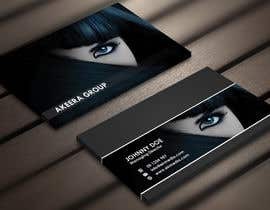 I have so far use the woman with the eye and the long hair as logo. 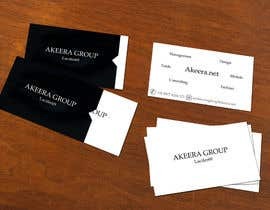 It have a value that picture is in the businesscard as the name Akeera is taken as a female name, but if there will be better without that photo.I am open to change my mind. do you have already Logo?